Carter Homes LLC. is a locally owned, manufactured home retailer. We have been fortunate to serve Macon County and surrounding Middle Tennessee counties since April of 1985. For over 30 years we have strived to deal fair and honestly with our customers to provide you with a quality buying experience. We offer manufactured homes from Fleetwood by Cavco. These homes are built locally in Macon County, Tennessee. We offer many floor plans and options, giving you many choices. We feel confident we can assist you in finding the right home at the right price. We offer homes that we set on the property of your choice, or we have Land and Home Packages available. Our service can be as simple as selling you a home or as complex as a complete Land and Home Package, turn-key ready for you and your family to move into. Our mission is to help you find the right home for your needs at the right price. So contact us, or just come by our sales center to view our display models. 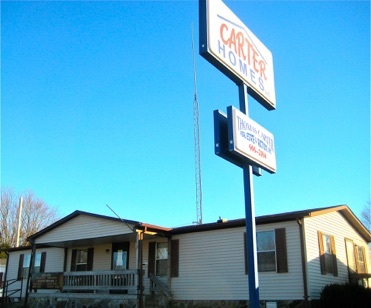 At Carter Homes, we would love to have the opportunity to help you with your next home purchase.